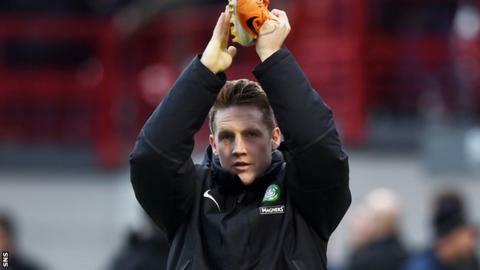 Manager Ronny Deila played down suggestions Kris Commons had featured in his last Celtic game following the 2-0 victory at Hamilton Academical. Commons, who was substituted late in the game, gave his boots to a supporter and applauded fans after full-time. And, asked if the match had been Commons' Celtic swansong, Deila replied: "I don't think so, you'll have to ask him. He's going to play more for Celtic so he needs more boots. "His contract is out [at the end of] the season so that would be too early to make a signal." Negotiations over a new deal for the 31-year-old remain unresolved and Bolton Wanderers boss Neil Lennon has confirmed his interest in signing the former Scotland player. "We want to keep him," stressed Deila, who added he would "hopefully" be adding to his squad during the January transfer window having secured Dundee United winger Gary Mackay-Steven for next season. The Norwegian manager reflected on "two very nice goals" by Adam Matthews and Liam Henderson at New Douglas Park as Celtic moved closer to Scottish Premiership leaders Aberdeen, who ended the day with a two-point advantage having played two games more than the reigning champions. "It's fun for you media guys," Deila told BBC Radio Scotland's Chick Young. "It's so many games left. We just have to win the games we come [to] after now and let's see when it's one month left if it's a race or not. "It's way too early to say to something about it." Accies interim player-coach Martin Canning praised the endeavour of his side but felt frustrated to have lost for the second time after taking over from Alex Neil earlier this month. "It's a sore one," said Canning, who elected to play after leaving himself out of the starting line-up in Monday's defeat by Dundee United. "For 90 minutes, we were in the game. We competed well, I thought the shape of the team was good. It seemed like we had decent chances to score goals, albeit Celtic had a couple themselves. "I felt it was a pretty even game and we were undone by two goals that, from our point of view, are avoidable." Hamilton almost took the lead in the first half when Mickael Antoine-Curier was denied at point-blank range by the Celtic goalkeeper. "I think he's caught it probably too well and Craig Gordon's obviously managed to get across to make a terrific save," added Canning. "We were a threat throughout the game. The disappointing thing is we lose the game again. "I couldn't have asked any more. A lot of good positive stuff to take from the game. "I enjoy playing games. I still feel fit, I still feel like I'm able to offer something on the pitch. Playing's definitely at the forefront of my mind."